697.00 sqft. - 1060.00 sqft. 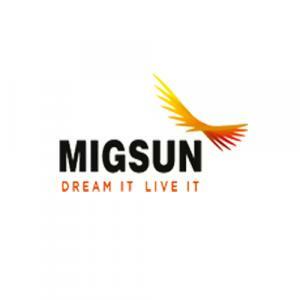 Migsun Twinz by Migsun situated in Beta II, Noida. The elegance of the project lies the surprisingly beautiful interiors and exquisite design. Soothing outdoors will take the inhabitants to a nature trial. Opulent homes and cleanliness will help your living style to get upgraded. In the project, you will get a chance to savor the goodness of this project and enjoy its wholesomeness and completeness along with your near and dear ones. Replenish your life with umpteen happiness. Experience an enhanced lifestyle like never before. Sector Beta-II is one of the prime locations in the lap of Yamuna Expressway Noida. The Buddha International Circuit, best known as the venue for the annual Formula One Indian Grand Prix is also at a short distance from here. The sector is also easily accessible from Delhi, Ghaziabad and other cities of the National Capital Region and has become a highly coveted residential and investment destination for the inhabitants. With its planned roadway system, Sector Beta-II is also becoming a preferred residential destination for people working in South Delhi, Noida & Greater Noida. Moreover being part of a modern integrated township, this area houses many reputed schools, hospitals & shopping centers in close vicinity. The residents enjoy the charm of living in a trail blazing city where socio-economic development has taken rapid strides in all verticals. All these factors make Sector Beta-II one of the most sought after localities in this region.